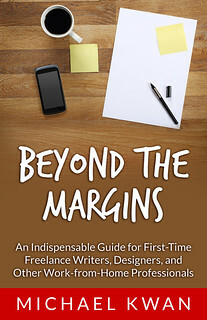 It can be challenging to find the right kind of freelance writing work, especially if you are relatively new to the industry. This is also true of people who are applying for more conventional kinds of jobs, particularly in today’s struggling economy. Part of this has to do with how the applicants (and freelancers) approach their respective opportunities. It is very common to see a certain tone of self-exclusion when these people first approach prospective clients and employers. What do I mean by this? They automatically make excuses for their lack of experience, responding to questions that have not yet been raised. For instance, let’s say that George is replying to a freelance writing job posting, but he doesn’t feel he has relevant experience in the industry. What’s wrong with this approach? George may think that he is taking a proactive approach, but he is really doing a better job at highlighting his weaknesses. We are not questioning his work ethic or his writing ability, but you see why a potential employer might not be as interested in George due to his technical knowledge. Just as with a regular job interview, you want to put your best foot forward. Highlight your strengths and clearly outline why you are the best applicant for the job. This is not to say that you should be untruthful — respond to the employer or client’s concerns as they arise — but you shouldn’t lead into the conversation with your weakest point either. Remember that there is so much more to a career in freelancing than the actual writing (or whatever other work you do). You are constantly marketing your services and, not surprisingly, this can involve “selling” your services to a prospective client. Tell them why they should hire you for the job, not why they shouldn’t. Grammar 101: Newborn, Baby or Infant?